What is the best fireworks vantage point? Which restaurants have the best view? 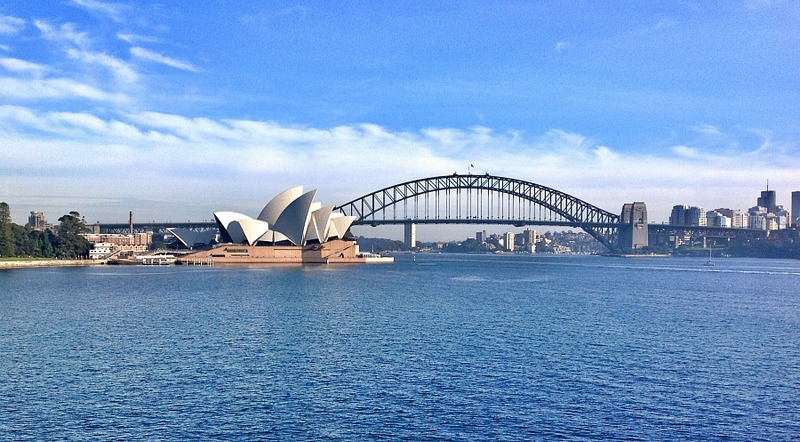 Should you go on a boat on the Sydney Harbour? When should you book your hotel? Well, I am going to attempt to answer all these questions and more below. You might want to grab a drink…. this is a long post! Events will be added as details become available. Some tickets are on sale now. Check each listing below for more information. I have included the sold-out dates from last year to give you an idea of how early you need to commit. If after reading all this you still can’t decide then you are welcome to pop over to our Sydney Expert Facebook Group and ask any specific questions you might have. 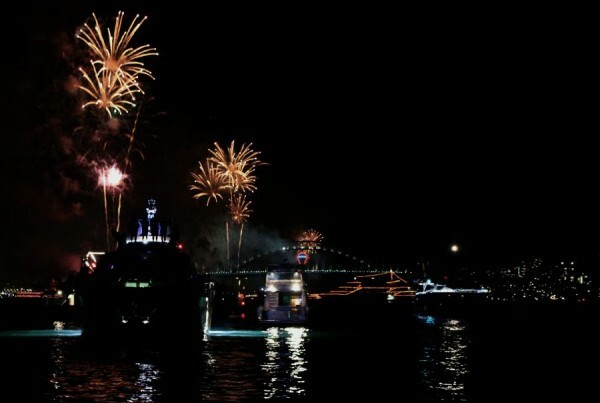 Choosing a Sydney Harbour Cruise for NYE? Sydney City Council stages the Sydney fireworks on NYE, and each year they create a brilliant website that has maps of the vantage points and rules for each viewing point. The 2018 site is now live and much improved on last year with lots more details. You can quickly search for accessible areas, areas where you can drink and get an indication of the time they expect the site to be full. There has been a significant increase in alcohol-free areas over the last few years so make sure you check the maps on the city of Sydney website for the rules before you head to your favourite spot. There are no free official areas where you can bring in your own drinks (BYO). The main thing to know is that the city is very crowded on NYE, lots of roads are closed, and most people travel by public transport. The buses and trains will be full and moving around the city between 8 pm, and 1 am is quite tricky. That said, it is still worth being there. You need to plan what you are going to do, where you will meet and what you will eat and drink. You can bring your own food into almost all vantage points, but most do not allow you to bring your drinks. They do however sell them at inflated prices inside some of the sites. To be safe check the NYE in Sydney website for the latest information on alcohol restrictions. There are great viewing areas on both sides of the harbour, so my strong recommendation is to stick to the side that you are staying on. Getting back across the bridge after it’s all over is tedious. My personal preference is to be able to see the front of the Harbour Bridge if possible; this is where the central climax of the firework show takes place, and it’s usually spectacular. I think it’s a must for international visitors. 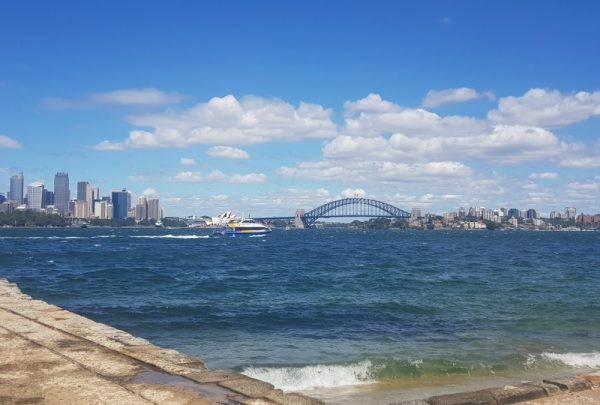 Cremorne Point Reserve – it’s an alcohol-free zone these days but still a beautiful place to view the action. Get there early – like before noon as only 5000 people are allowed. FYI there is no direct view of the Harbour Bridge from here. Bradfield Park Milson’s Point – Room for 35,000 – no BYO alcohol – There is a western side view of the Harbour Bridge and restricted view of the Opera House for all but the earliest arrivals. Access here is usually ok until late afternoon, last year it reached capacity at 7.30pm. North Sydney Pool – Good option for families. Adults$70 and kids $35. BYO food or order hampers. Alcohol for sale but no BYO. Tickets on Sale Nov 5th. Please note: I have not spent NYE here for 5 years so consider more current reviews that have been less positive. 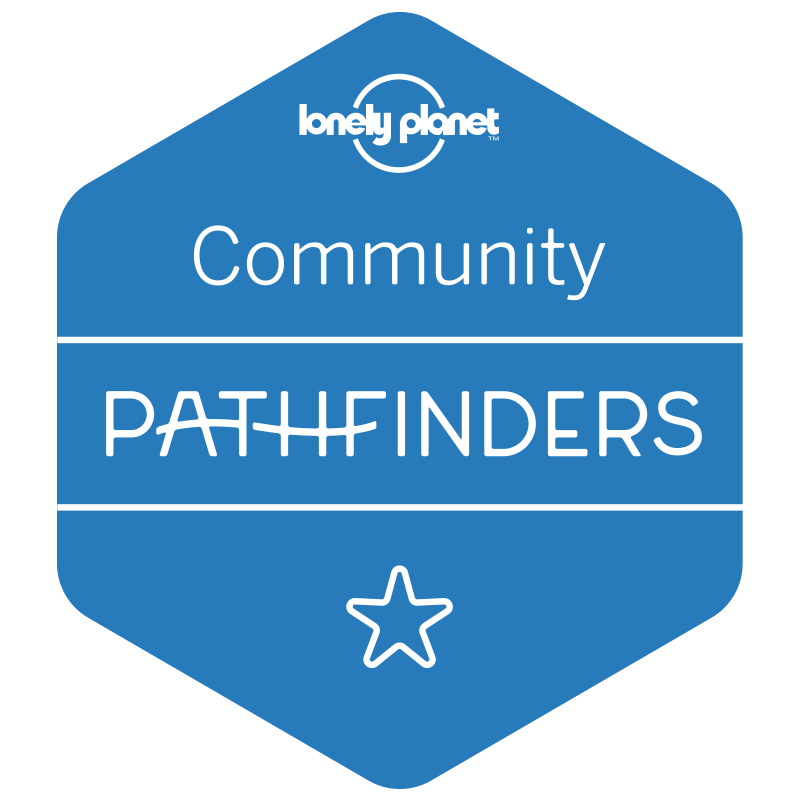 Things like restricted views due to the trees that have grown to cover much of the space and a very full-on party atmosphere due to the popularity of backpackers means this may not be the right place for everyone. Sydney Opera House – Any free area around the Opera House, is beyond hectic on NYE – it’s THE best view, but this is THE most crowded place you can imagine however if you don’t mind crowded the buzz here is incredible. Cahill Expressway – This is the roadway that runs above Circular Quay Station. On NYE they close the road and turn it into a fabulous viewing point. Tickets are free, but it is a ballot process. The ballot is technically for Australian residents although the year I was there I met many visitors. The ballot for 2018 is now closed. I was lucky enough to score five tickets two years ago, and it was fantastic fun. It is run by the RMS (Roads and Maritime Services). A couple of things to note: It is an alcohol-free zone, you only score tickets to either the 9 pm or the midnight shows – you can’t stay for both. Dawes Point – This is the park under the Harbour Bridge. 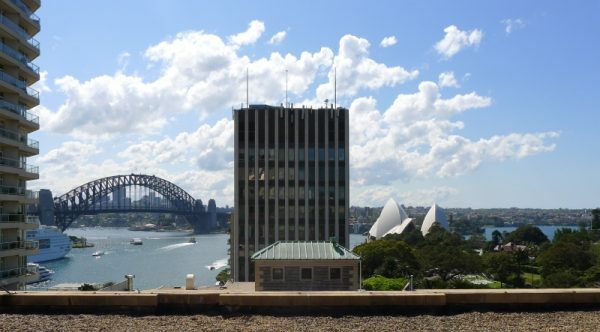 It has excellent views of both the Bridge and the Opera House and remains a free and unticketed area this year. The space will open at 12.30pm. Last year it reached capacity at 8 pm, so it’s a good bet for those who want to arrive later but with Campbells Cove now ticketed I expect this spot will fill up earlier this year. Campbells Cove in the Rocks – This area has a fantastic view of both the Bridge and the Opera House and has you right in the thick of the action. It has remained a free area for this year, but it will be ticketed to control numbers. It is an alcohol-free location with no BYO or alcohol for sale. There is also no shade. Bookings will open on 1 November. This area is sold out. The Rocks – Best option for late arrivals, did not fill until 10.30pm last year. Limited Harbour Bridge views but a great party atmosphere. Elkington Park, Balmain – Free site, no glass or alcohol. Good family friendly place. Slightly restricted views of the city. Capacity 3000. Birchgrove – Free site with no glass or alcohol. Good shade for hot sunny days. Capacity 5000. This site has a good view of the western side of the Harbour Bridge. Barangaroo – West of the Harbour Bridge – Barangaroo Reserve opened is fast becoming a popular site for families, and it sold out pretty quickly last year. Keep an eye on the Barangaroo website or sign up for their newsletter to be the first to know when they are available. Tickets $35 each and on sale October 12th. Last year this sold out by early November. Darling Harbour will have free family areas as well as lots of restaurants offering special packages. It’s also home to several nightclubs, so there is something for everyone, but you should know that you don’t get the harbour experience from here. They have fireworks, but in my opinion, it’s just not the same, particularly for first-time visitors. Watching the fireworks from The Royal Botanic Gardens is like sitting in the dress circle. This year they have five paid options for ticketed entry to their amazing locations for those who are not members of the “Friends of the Botanic Gardens”. I have to tell you this is my favourite place. If you are planning for next year, I suggest you register here to be advised when presale tickets are released. The Point is a pretty chilled event right by the Fleet Steps North at Mrs Macquaries Point. In my opinion, this is the best view of the Gardens locations because of the way the Opera House and Harbour Bridge line up. Entry is between 5.30pm and 7.30pm, and the party ends at 1 am. This is an over 18s only area. 1km walk from the nearest public transport – mainly level ground. Located at the First Fleet Steps south of Mrs Macquarie’s Point this site offers excellent views of the Opera House and Harbour Bridge together. They almost look like they are sitting one in front of the other. Entry is between 6.30 pm and 8.30 pm. Tickets include a three-course meal and a midnight snack. Cost: Tickets cost A$430 and sold out in mid/late December last year. I think this event is a great value considering the location. Some of the best seating has already sold out in the presale so don’t waste time if you want to secure seats here. A family-friendly event located on Bennelong lawn outside Government House and directly above the Sydney Opera House – a box seat view. Entry is between 7 pm and 9 pm. Very popular – in 2017 this was one of the first areas to sell out. Cost: Adult tickets are $340. A circus-themed event held on the lawn above the Opera House. Entry is between 6 pm and 8 pm, and the party ends at 1.30am. Picnic style meal and water – no food or drinks may be bought into the event. Cash bar – You must buy all drinks other than water on site. There were great reviews for the 2017 event from several of our Sydney Expert community members. Cost: $325 Check out this map for the exact location. A cocktail party in the Calyx building and a night walk through the gardens to view the fireworks show from just behind the Opera House. Entry is from 7.30pm to 9 pm, and the event ends at 12.30am. For all the Botanic Gardens events it is best to buy your tickets as early as possible to avoid disappointment. These events are very well run and get excellent feedback. Located in the heart of the Botanic Gardens the Restaurant will be offering two options either a 9-course degustation dinner or a cocktail party both with free-flowing beverages and world-class views of the 9 pm & Midnight fireworks from a private viewing lawn on the Sydney Harbour foreshore. Sydney Harbour National Park encompasses a substantial part of the harbour foreshore and three harbour islands. These sites are ticketed to control numbers and are relatively well priced considering the views they offer. 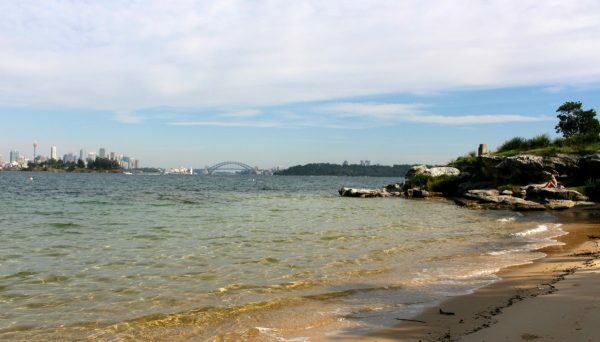 Clark Island is the closest of the islands to the Harbour Bridge and has excellent bridge views but offers restricted views of the Opera House as it is blocked by Garden Island. Tickets which include DJs, band, food & one drink are $411 for adults,$253 for kids 5-15yrs. This consists of a three-course meal starting with canapes and a cocktail on arrival, then a choice of mains and desserts. Cash bar for buying extra drinks. Ferries will depart from near Circular Quay. Shark Island is perfectly positioned with the Opera House and Harbour Bridge directly down the harbour. Dance to music party by DJ Lex Deluxe playing house, disco, funk and soul. The ticket price of $248 for adults and $175 for kids 5-15yrs does not include food or drinks, and no BYO alcohol or food is allowed. Ferries to Shark Island will depart from Rose Bay Wharf. You can take a bus from the city to reach the wharf but be prepared for a long trip back to town after the event. We took over 1.5 hours to get back to the town when we did this and ended up jumping on a bus headed to Watson’s Bay and backtracking because they were all full by the time they reached us. BYO Picnic – $216.64 adults and $145.28 kids 5-15 yrs. A small island located directly west of the Bridge and almost entirely in line with it. You have a fantastic view of the bridge itself although you do miss out on the light display on the front of the Bridge. You can read my separate review of NYE on Goat Island and see what I thought when I spent NYE here. Fewer than 800 tickets are sold, and there is plenty of space to move about unlike most other harbour venues. Tickets are on sale and the second sailing at 7.15pm is still available 22/10/18. This is the cheapest harbour island option, so these tickets often sell out quickly within the first fortnight. You can BYO alcohol here. It is not readily wheelchair accessible – there has been no accessible toilet in previous years. Responsible amounts of BYO alcohol permitted. Located on the North Shore, there are three ticketed areas at Bradley’s Head. The Amphitheatre has the best views and tickets are Adults are $$85 and kids are $44 (sold out). The Mast Precinct is $54 for adults and $28 for kids. Finally, Athol Lawn is $354 for adults and $38 for kids. No alcohol is allowed at these venues, and there is capacity for approx 5000. Please note Bradleys Head is an alcohol and glass free zone for NYE. Strickland House will have a similar view to this one taken from the beach below. Opera Australia is the hosts of NYE at the Opera House. There are two options for those of you who want to attend the official New Year Sydney Opera House performances. Read these descriptions carefully, so you know exactly what you are buying to avoid disappointment. Opera Australia has two shows and a party for sale. You can not attend the party unless you have tickets to one of the performances. When you purchase your Opera ticket, you have the option to add a ticket for the midnight party. The Midnight Party is an add-on to your performance ticket and costs $349. This includes canapes, drinks and live entertainment from 10:30 pm, or the platinum package for $1422 and includes opera tickets, dinner, drinks and the party! You can also purchase pre-theatre dinner packages too for $399. Tickets are on sale now, and the least expensive opera seats are selling fast. Tickets to the Midnight party do not guarantee you a space on the outdoor balcony. I suggest if this is important, you make sure you buy an aisle seat by an exit door near the foyer to make a dash as it is first in best dressed and many guests have repeat ticket holders and know the drill. You can see from inside – the walls and roof are glass. I just wanted to be clear, so you know exactly what you get. If you choose not to attend the Opera Party, then you can still access the southern foyer bar and outdoor area after the performance, but you may not have a view of the Sydney Harbour Bridge. Set in 1930s Berlin La Bohème is a classic, and one even opera novices will enjoy. Again the cheapest category of seats has sold out with tickets reserve $269 up to $499 still available. Single tickets only at the lower price point- no seats together are left. Some $400 seating available for pairs and more. 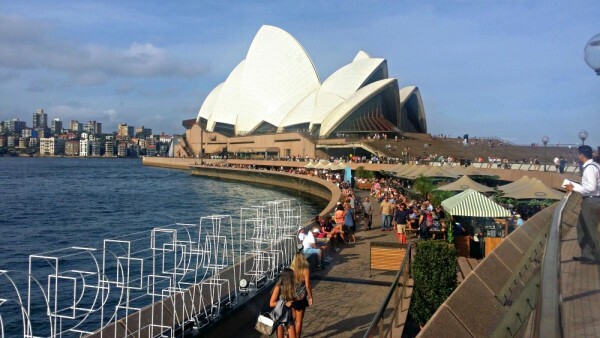 I love the Opera Bar… it’s the bar with the white umbrellas that sits next to quayside of the Opera House and the ultimate outdoor venue for a NYE on the harbour. In 2017 tickets are $460 (+ $4 booking fee). This includes express VIP entry to Sydney Opera House area, live entertainment and a 5-hour canapé package with finger food and pizza – drinks are not included. I have reviewed NYE at Opera Bar after my visit several years back. I loved it. You will need to get there really early if you want a seat as seating is limited. Doors open at 6 pm. They usually go on sale in early October and last year sold out on Boxing day. Just along from Opera Bar and with the same great view. Tickets are available now Great views especially from the upper tables and guaranteed seating. Tickets $750 for lower level tables, food and one glass of champagne and $1300 for upper level for food, unlimited top-shelf drinks and perfect views. Food looks good and is reportedly substantial. Bennelong is the restaurant inside the small shell of the Sydney Opera House. Executive chef Peter Gilmore (Quay) runs the show here too, and his food never disappoints. I have eaten here several times and always loved it. Sydney has a New Year’s Eve party to suit everyone! If you would prefer something a little more structured for your evening, you could try one of these fabulous venues. They usually release these details in Sept or October. Where this year’s pricing is not yet available, I have left 2017 pricing to give you an idea of what to expect. Do you like the idea of dressing up for the night This event at the Sir Stanford Hotel in Circular Quay will pay homage to the British cult character, James Bond. Come as a villain, a hero or just a well-dressed spectator 😉 Let the film be your inspiration. There will be casino table games and live entertainment to keep you busy between the fireworks shows which you can view from the hotel rooftop. A fantastic choice for families Taronga is well known for its fabulous harbour views. Money raised from these events is used to fund the zoo, so you are also helping a great cause. Last year there were three different packages available, a total of just over 2000 tickets. Silver Reserve tickets with some restricted views started at A$175.00; Gold Reserve $275 unrestricted views. Both Silver and Gold tickets are BYO. The diamond reserve was $510. This year Harbour Party entertainment is an all-girl event with the Veronicas’s, Nicole Miller, Nat Conway, KLP and DJ Purple Sneakers on the bill. If you don’t feel like dancing you can check out the rides! The site has great views too. Check out the event map to see how the ticketing works. Good food with a view of the harbour fireworks is possible. There are a few waterfront restaurants that will earn you a view of the fireworks with your meal, but you will pay for it. Having said that at least, you are guaranteed a seat, something to eat, that in most cases will be pretty sensational, and you don’t have to get there at midday to secure your place. I am not going to tell you which is best because I honestly don’t know. While I have eaten at most of these places during the year I have never done on NYE – I wish! Most restaurants have not been fully booked before Christmas in earlier years, so it is not as vital to book early for restaurants. I would suggest if you have your heart set on a particular place, and you have a small party of the 2-3 book early as smaller tables seem to go first. Many need full payment at time of booking and are not refundable so choose carefully! I will update 2018 pricing later in the year when it becomes available. The Sydney Cove Oyster Bar is a picture perfect location with full view of the bridge and outdoors under the stars. In 2017 an eight-course degustation menu was $750 per head and $650 per head for all other tables. A $150 deposit is required upon booking. Cafe Sydney – Right above Circular Quay – fantastic view and the times I have been there I have had excellent food. Contact them directly for information on NYE. This year it is priced at $880 per person. New Year’s Eve at the Sydney Tower Buffet – This package includes buffet, drinks (beer, wine and soft drinks) and observation deck entry. Adults only. They are also selling dinner at 360 Dining a 6-course degustation with wine in the tower. Pier One Sydney Harbour – I have not eaten here, but the location is great – You will not see the front of the bridge, but you will be in the middle of the action. Their 2017 packages are on sale now. There are two options – A degustation menu with drinks from $699 or a more casual affair with Paella and burgers, drinks and DJ for $399. O Bar has fantastic views and two menus to offer an 8-course degustation $695 or a chef’s selection of rolling tapas $545 both menus include one drink. Aria has the best view of the front of the bridge. Canapé s and pre-dinner drinks followed by a five-course tasting menu with premium drinks is $13500 pp. They also have an under 12 years price of $650. All bookings are prepaid. Available now. Altitude – perhaps the most incredible view in Sydney with a price tag to match, seriously check their website… the view is fantastic. A window seat $1300, View seat $1150 – 7-course degustation with wine. The Dockside Group have some venues at The Star Casino, Darling Harbour and in the Rocks including The Italian Village and Wolfies. Great view of the Opera House, The Harbour Bridge is partially obscured. Very reasonable pricing at $255 for the Rocks and under $200 for most of the Darling Harbour locations. The area around Campbell’s Cove that was home to many of these venues is currently being redeveloped and due to open in late 2019. Ripples at Milsons Point A degustation menu including beer and wine for $695 per person is on offer here. Fantastic view of the Opera House and back of the harbour bridge. Ripples at Chowder Bay – A view of the harbour and the fireworks but not of the icons. $225 for dinner and unlimited drinks. Q Station – Choose from a seafood buffet ($199) or a 4-course degustation($229) Good views over the harbour – quite distant but still very nice. Options for families and adults only. If you are thinking about booking a New Year’s Eve Harbour Cruise, I suggest you head over and read our detailed advice about what to look out for when deciding which cruise operator to book with. How much do NYE Cruises cost? 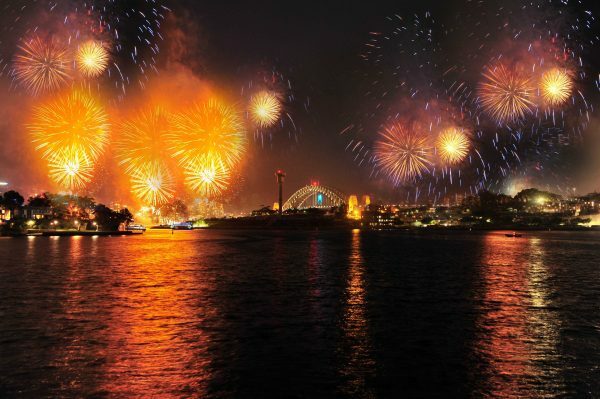 If you want to be on the water under the fireworks, then you are looking at somewhere between $250 and A$600 per person for a basic food and drink package. All the leading tour operators offer cruises on Sydney Harbour on New Year’s Eve with some of the big name boats charging up to A$1200 per person. For that, you get a 6-hour cruise with a five-course meal and drinks. 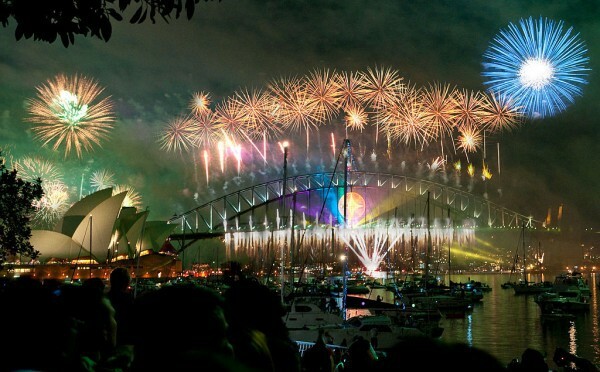 This is a great way to experience Sydney on NYE if you can afford it. Just do your homework and make sure you chose a vessel that is suited to your musical/food tastes. 20 something’s may not like to listen to a 60’s band all night 😉 just like 50+ might not like 5 hours of dance music. At about 9.20pm after the first round of fireworks, many of the vessels on the water turn on their lights and parade up and down the harbour until the midnight fireworks. You can view the official Harbour of Light parade vessels for more details if you would like to join one of them. These traditionally go on sale quite early, and most are on sale now. Majestic Cruises have two cruises, a 5-course sit-down dinner for $1000 (no kids under 7yrs). One of the two boats is already sold out. This company typically sells out quite early. Captain Cook Cruises have five cruises on offer from the BYO budget-priced Rocket for a BYO food and drink cruise to the standing buffet on the Matilda 3 for $849. A seafood buffet will set you back $925, and an à la carte meal on their best vessel will cost up to $1499 Guaranteed window seats $99 extra. BYO cruises $550 still available This is one of the last companies to sell out – I think because they have quite a few boats and they are on the pricey end of the scale. Last year tickets were still available on NYE. ThePontoon Ballroomvessel from Sydney Harbour Escapes has a $620 cocktail food and drinks cruise in their glass-sided boat. 2018 options not yet available. RhythmBoat Cruises – has a cruise for $520 that includes a seafood buffet and beer and wine. These sold out by boxing day last year. Manly Fast Ferry Cruises – two types of cruises – one that takes in both shows and a cheaper alternative that gives you a choice of either the 9 pm or the midnight fireworks. BYO early bird tickets are $175 for the 9 pm show and $275 for the midnight show are on sale now. Cruises that include both shows start at $395. In 2017 these sold out in late December. James Craig – Tickets on sale now and include canapés, a buffet dinner, late supper and beverages (beer, wine and soft drinks) $950 each. Fusion Cruises – 6-hour cruise with food and beverage packages $595 adults and $495 kids under 12. 2018 information not yet available. Tickets are on sale now, and all but the most expensive cruises usually sell out pretty by late October so if you are considering on lower-priced options buy early. Be careful about purchasing from a smaller operator who does not have much history as there were issues last year with some people losing their money on a no-show boat. Check out Sydney Boat Hire Another option is to hire a water taxi for either the 9 pm show for about $175 or $295 for the midnight show. In 2014 I met a reader of this blog at the NYE fireworks who had followed by suggestion and booked a Harbour City ferry –my first meet with a real-life reader. Very cool 🙂 We had a fantastic view of the Harbour Bridge, and it was great fun to be in the middle of the action. The Official Sydney NYE website has more details on these areas and how to reserve tickets. My biggest tip is to plan early unless you do you may find there are limited choices many events sell out weeks and sometimes months in advance. If you are reading this in December, don’t despair there are lots of free vantage points to see the world-famous fireworks, and it will all work out on the night if you have a plan. Decide which part of the city to stay in and secure your hotel. I have reviewed a long list of budget hotels in Sydney if you need don’t want to max out your credit card. If you want to book, a hostel be prepared for minimum booking periods of up to a week. In 2016 I watched the action from the Cahill Expressway after scoring some free tickets in the public ballot. Follow their Facebook page to hear when the ballot opens. In 2017 I watched from Barangaroo and will have my review up shortly but feel free to ask me questions about it on the FB group. I have reviewed my last 4 NYE outings so make sure you check them for full details. Paula, I am impressed to see such a definitive guide of how to make the most of NYE in Sydney. As a Sydney-sider myself I can confirm that these tips are very accurate. Thanks Anne, it’s so hard for visitors to weigh up all the options I thought this would be really helpful. New Year’s Eve in Sydney must be EPIC! Especially the warm weather makes it a little more enticing to be outside to celebrate! Goat Island is a great spot – perfect view. It’s an over 18s event with food and live music. Would be a great night I imagine. Hello, thanks for your tips! Is there any place with a party for people around 30, that you could recommend? You talk about a couple of clubs in DarlingHarbour, but don´t mention any name. It’s hard to say without knowing your musical taste 🙂 The bars along King Street Wharf usually have parties, places like Cargo Bar and King St Brewhouse. There will also be parties at The Star Casino venues. 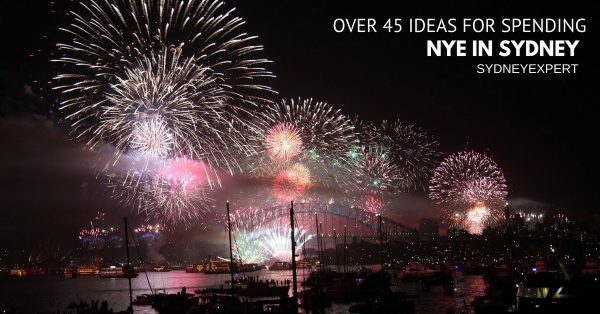 Depending on your budget you could check out Opera Bar ($$$$) or Luna Park’s Harbour Party ($$-$$$) with tickets starting at $139pp https://harbourparty.com/ but the best bet would probably be a search of the Moshtix website which sells many of the NYE parties in Sydney. Appreciate the really detailed account – thanks! We are hosting two ticketed NYE events – one at the Sydney Observatory and one at the Australian Museum. Would love to be included/listed on your website if possible. First of all thanks for the effort. We are a group of 20 people around 25 years old. 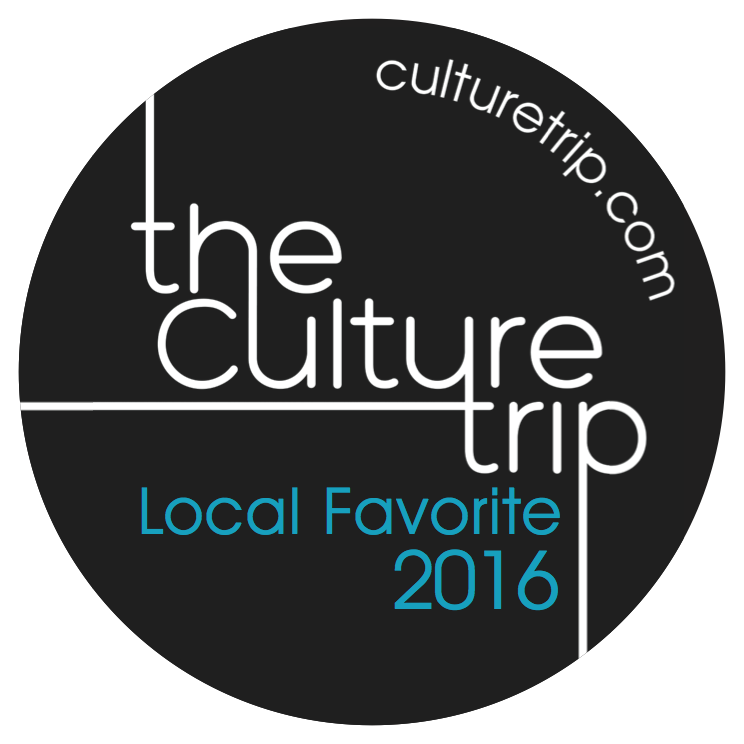 We like hip-hop, Techno/electro, reggaeton/latin, club music, etc. We want to go on a cruise on NYE, but we dont want to pay too much. Under 150AUS$ would be great. You know anything like that? Thank you so much for writing this. I just wish I had found this sooner. My friend and I are trying to decide between seeing the fireworks from Mrs Macquarie’s Point or the Harbour Hoopla. Does the Harbour Hoopla offer the same views as Mrs Macqurie’s Point. Thanks! The view from Mrs Macquaries Point is of the Opera House and Harbour Bridge almost side by side. It is probably my favourite view of Sydney. If you are considering the free area you would want to be there very early in the day to score a prime position. The view from Hoopla is from just above the Opera House with the Harbour Bridge to the side. From either spot you can see both clearly if you are in a good position. Hi. Thank you so much for the information. I just found out that the tickets for the Foundation and friends picnic at the Mare and Foal Lawn at Botanical gardens are still available. This is my first time in Australia. We are trying to decide between the Harbour Hoopla and the Foundation and Friends picnic. In your opinion which of these events would offer the best view for NYE. Also is there a local Facebook or ticket sales page where people may post tickets to the other sold out parties at the botanical gardens. Thank you! I have just checked, and it appears you are correct. All the Balmain sites are now alcohol-free. I am sorry for the error and have updated the page. It’s a shame that they restricted BYP in so many places as it makes it an expensive night out if you have to buy them from the bars on site. I think Harbour Hoopla is selling a little slowly this year because another operator ran that space last year and it was a disaster – bad food, long lines and very bad set up. This year the Royal Botanic Gardens have taken back the space, and I expect it will be managed as well as their other events that have been running successfully for year. You have a fantastic view from this spot, so I would certainly consider it. We are visiting Sydney from Europe for NYE and want to see the fireworks at 9pm with the kids! How early should we tealistiscally get there to get a good spot? Any idea? It depends on where you are planning to watch from. The areas closest to the Opera House and the Bridge will fill quite early. Last year many were nearing capacity at 3 pm. If you are heading to Mrs Macquaries Point, for example, I would aim to be there in line by midday. Bradfield Park and Milsons Point seem to be OK until later in the day. Areas a little further out or without an Opera House view are a little slower filling up. I would head to the city around lunchtime to be sure of a good spot. The heat this year might make some people reconsider sitting out in the sun all day. Also, this is the first year they have locked down all open harbour spaces until 8 am NYE morning meaning you won’t have people camping out overnight for the best spots. Not sure yet what effect that will have. Also being a Saturday fewer people will be working so can come in earlier. So many variables, it is hard to predict. The Official NYE websitehttps://www.sydneynewyearseve.com/vantage-points gives details on how soon the city council expect each area to fill. Wherever you end up, I hope you have a fabulous evening! Hi again! Thank you form your reply! We’ve been looking at the maps and reading about the vantage points and I think we’ll be heading to pirrama park, which is walking distance from where we are staying! Do you know when all those alcohol free zones got out in place? It’s such an embarrassment. Sydney must be the only city in the world where alcohol is banned in public parks on New Year’s Eve. Do you think the authorities in Copacabana, Rio de Janeiro care about 1 million people drinking on one beach? I remember in the early 2000s we were free to drink in Sydney parks while watching the fireworks. Hi Daniel It seems the alchol free zones are increasing every year. I think it really started increasing about 3 years ago and it’s gotten to the point of being ridiculous in my opinion. Sad you can’t see in the New Year with a glass of bubbly! Hi Andrea How did you find the Cahill? We arrived in time to get a front row spot not far from the elevator and were really happy with our view of the Harbour Bridge. We were not able to see the Opera House at all – that end of the road was really packed and we decided as locals it was not such a big deal for us. The bridge is more of a focus but it would certainly have been much better to have been more towards the western end of the road. You are absolutely amazing! Thank you for putting this together and replying to everyone as well! Just a quick question what would the atmosphere be like at cruise bar (if you’ve been there) do they have a capacity limit (to allow for breathing space)? And also would it be impossible to find a table to sit at etc? Looking to have a chilled out time rather then a “hard party” style. Hi Riz, sorry I did not get back to you in time to be useful. Did you go to Cruise bar? I would love to know what you thought. Mrs. Macquarie’s Chair is not recommended for someone wanting to see the fireworks. Too many trees obscure the view. Great if you want to party with your friends though. Hi Dave Thanks for raising this, you are right it seems Mrs Macquarie’s chair has turned into party central – I suspect this increased this year due to the fact most of the other free Harbour vantage points were alcohol-free. Certainly, something to keep in mind for next year and I will update my article to reflect this. If you get there early, it’s still a great view, but later arrivals will find you stuck under the trees. This is very helpful, thank you! Question about transport- are there ways to reserve a car service to/from the harbor if you’re doing a cruise or how do you recommend getting back to your hotel/arinbnb after the evening? Glad you found the page useful. The streets around Circular Quay will be closed from mid afternoon on New Year’s Eve until early the next morning. You will most likely need to walk back to a meeting place determined by your car service. Uber and Taxis are very hard to find on this night, so I would recommend having a booking if this is important to you. Trains at Circular Quay station also stop for a few hours as the crush if it was opened would be just too dangerous. I would follow the advice of the car service company as they will be familiar with the road closures. I found your page whilst starting my research on a first time trip to Australia with limited time but for me NYE Sydney was a must. Very useful info .. torn between a tall ship experience and the Opera house.. but found the comment about booking a hotel on the same side to avoid crossing bridge useful though need to work out my geography now.. as a specific any additional ideas for the solo traveller ? Amazing! What about Luna Park? 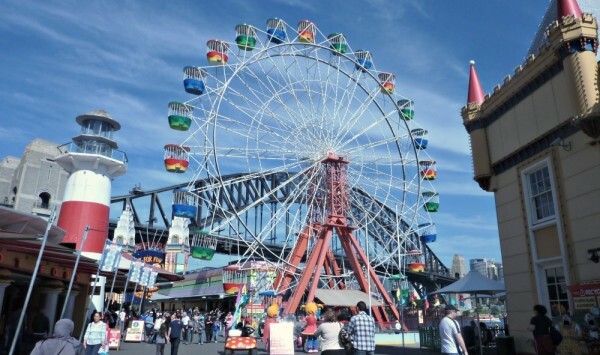 I have not been to Luna Park on NYE but I imagine the view would be great. They usually have dance party events that sell for around the $100-200 mark. Thanks for all the useful info on here. 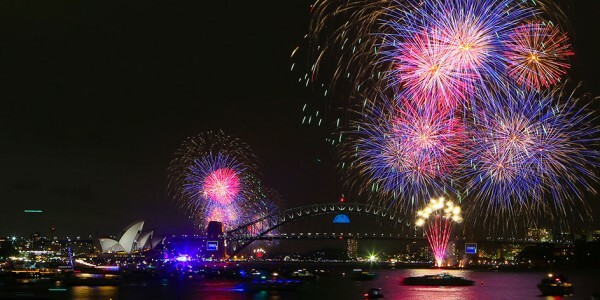 We are a couple from the UK, in our 50’s, who happen to be flying into Sydney on NYE at 7.30pm..and want to book accommodation somewhere in the city, with the hope of still being able to see some fireworks… Are we being unrealistic given we will probably not be in the taxi from the airport until around 9pm! This such wonderful information! We’re traveling to Sydney for NYE with our 11 year old; booked at a hotel in Circular Quay but now torn between keeping the room with a view or splashing out on the Hoopla or Lawn party. What do you recommend? Personally I would keep the room with a view and splash out on great wine and fancy food 🙂 Either Hoopla or the Lawn Party will have great atmosphere but the food and the lines at Hoopla can be disappointing for some. We are a family of 3 with an 8 year old boy staying in Camperdown for NYE. Whilst keen for the adults to able to celebrate with a drink or 2, we are conscious that keeping an 8yr old occupied for the afternoon until the late show might be quite a challenge. Also register for the ballot for free tickets to the Cahill Expressway viewings. I won 6 tickets last year and it was brilliant! http://www.rms.nsw.gov.au/about/news-events/nye/index.html You only need arrive 2 hours before the show so no hours of waiting around. Thanks for this page it has been so useful. 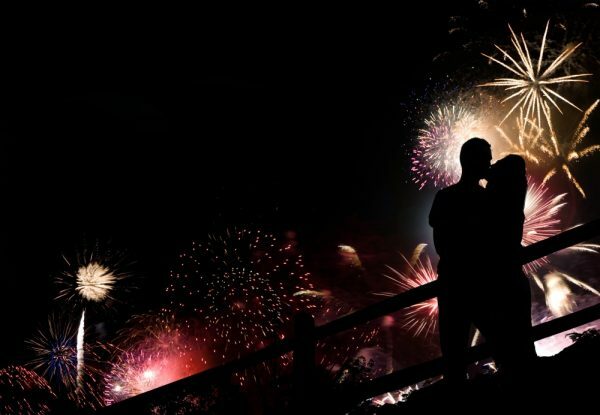 My wife and I will be travelling from the UK for a short 7 day stay in Sydney so that we can see the fireworks and your site has helped me such much. I have one question though as I am torn between 2 locations, the Aria or the Opera Kitchen. I have been leaning a bit towards the Aria as we would like a sit down meal but am slightly concerned the view might be obscured after looking at the website. Would you have a preference of which one might be best? Hi Ray So glad it has been helpful. I would probably choose Aria but honestly either would be a great night out. Enquire directly with Aria regarding the view but I imagine they will keep the Bridge end of the restaurant as standing space for everyone to gather for the fireworks show. Hi Sydney Expert,wrt capacity/room for an estimated crowd at the free venues, would they be gated and people getting denied entry? I experienced that Circular Quay one year and ended up not getting a view of the fireworks as I was kept outside the gate and the only view was Cahill Expressway which blocked the view of the whole bridge and harbour. In particular, I am thinking of going to Blue Point Reserve this year. Hi Michelle, not sure where my previous response went – I have been travelling with sketchy internet so my apologies as I thought this response had saved. Blue Point Reserve fills quickly each year with many people arriving there first thing in the morning. The capacity here is Capacity 15,000 and it reached that at 6pm last year. With NYE on a weekend this year I expect it will fill earlier. Bradfield Park is a good back up plan as it did not reach capacity until 11pm. Hi! Your information is super helpful. We spent NYE on our boat in Sydney Harbour in Farm Cove. Super fantastic view. Question for you; there were kayakers in Farm Cove for the fireworks. How would one go about getting out in a kayak? Hi! Planning to be in Sydney for a week during NYE 2018. Going with my husband and 2 kids (6&5yo). Best time to book a hotel? Area? All the hotels right now have a no-money-back policy (Pay now full amount!). Would be too risky to wait another 6 months? Also where can we spend NYE with small children… Any child friendly location/restaurant? Hi Marcela There is no need to book yet. I would wait until after Easter at least. What do you need from your hotel? I would seriously consider the YHA at the Rocks. They have family rooms and you can watch the fireworks from their rooftop terrace. If you are considering a hotel room with a view you will be looking at a minimum 3-5 night booking and at least $500 a night for a budget hotel with no view and way over that if you want a view. I am working on a post of the best hotels for NYE at the moment that I hope to publish early February. Keep your eyes out for it and perhaps join our Facebook Community, several members shared their NYE experiences there this year. Thank you for this great article. Me along with my wife and my 3 year old son would be visiting Sydney especially for NYE and have already booked our hotels in CDB. I believe RBG is the most convenient location and Harbour Hoopla would be a good event. We have also registered at the link at RBG website. However, we are not sure if the pre-sale has started would would it start later. Any guess by when you it be available. I have a question about viewing the fireworks. Is it also possible to not enter any of the areas (free or paid), and to just stand somewhere on a random spot to view the fireworks? This because we do not feel much for entering an area really early, but prefer to just go to the city and view the fireworks from a random point. However, I cannot find anywhere if this is possible. Yes you can just stand on the street and have a view of some of the fireworks. However, anywhere with a view of the Harbour Bridge and Opera House will attract a crowd. I would suggest Bradfield Park. Bradfield Park under the northern side of the Harbour Bridge is a good spot to turn up later in the night. Hey, I am hoping to visit Sydney for new years and was wondering if it would be cheaper to stay outside the CBD and get a taxi on the night or stay central for one night? Hi Poly Taxis on NYE are very very rare. Rideshares like Uber and Ola surge at crazy prices. I would factor public transport into your plans as really it’s the only way and it’s busy and safe. How far our are you thinking of staying? Anywhere on the suburban train network would be fine for travelling home. It will be very difficult to find a room in the CBD for one night only as many have minimum stays and those that don’t will be booked out. I’m going to Australia for the first time over NYE and this is so helpful. Thank you so much for this information! Really glad it could help! Hi there, we have reserved some spaces on a cruise (pending payment depending on where the vessel will be placed on the night). It looks like the council have released who will be in the Harbour of Light parade on their website, however the company are saying they are still waiting on the decision. We have visitors over so really only want to be somewhere between the bridge & the opera house. I don’t suppose you could advise whether we should look into another boat? (would rather not as it is a good price compared to others, and it is listed in your ‘NYE Cruises’ so seems legit!) Thank-you very much! Only a few of the Harbour of Light parade boats seemed to have been named so I would assume that the company you are dealing with are still waiting for confirmation. I have only listed trusted companies on this page so you should be safe. I would give them a little more time. Barangaroo would be a good spot for you if you want an outdoors picnic style event. Tickets have been under $50 in previous years and you can buy food at the event. Alternatively, you could try the Star Casino who will be hosting a few events. Many of the restaurants in Darling Harbour have their own NYE dinners and there are fireworks in Darling Harbour itself but you can not see the Opera House or Harbour Bridge from these. Thanks for this amazing detailed list. I want to spend NYE with my 1yo, husband and my mum but just not sure about the best spot for us. I had a look on Lawn with a view at Botanic Gardens, Bradleys Head (Amphitheatre) or Taronga Zoo (Gold tickets). Which one do you think is better or anything else I’ve missed on the list, please? Thanks again! Hi Gabby, which side of the harbour are you staying on? I would not cross the harbour with a small child if I could avoid it as it adds a lot of time to your return trip home. Hi Paula, thanks for writing such an amazing and accurate review of the Sydney NYE. My family is coming over from overseas, we are 3 couples, my parents, sister and partner, and my 13 old nephew. I’m torn in between a few options, our budget it’s around $400. After reading your blog, I’m between, Clarke Island, Taronga Zoo Gold, also the Harbourview Hotel in North Sydney (not in your review), or even the Manly Ferry. We live close to Manly, which one would you go for? I’d love if you can assist me on this one! The ferry will have you closest to the action from that list, Taronga Zoo gold would be a good option too. If you are based in Manly I would choose one of those two for ease of getting home. Hi Paula, amazing blog. Thank you. My wife and my 2 kids (16 & 15) are coming from Argentina to enjoy NYE at Sydney. We’d love to spend the night watching the fireworks as well as enjoy a MUSIC party (dance, reggae, pop type music) and get dinner. Where would you recommend we go considering South or West side of the Harbour? We don’t mind crowds and our budget is about 600 p.person. There a few places you suggest that seem great (Mrs Macquaries Pt, Midnight at the Oasis) but are for adults only. Where are you staying? This will help determine which event I recommend as crossing back over the harbour can be a long process after the event is over. Harbour Hoopla at the Botanic Gardens is an all ages event as are the National Park Islands, Clark and Shark – these 2 islands have music too. thanks Paula. We’ll be staying at Novotel Darling Harbour, so we are looking for something on the same side of the harbour (I figure South or West sides would meet that). Clark & Shark islands seem too far away. I was hoping to go to Luna park but did not realise it was over 18s only. At this late stage, where can I go with a party of 8 including 4 teenagers. Budget is limited. Hi Caroline with a limited budget perhaps Barangaroo is your best choice. This year also several previously unticketed areas have been changed to ticketed to help manage crowds but will remain free. Check the Official NYE Sydney council website – Campbell’s Cove in the Rocks is one of the new ticketed spots that might be a good option. Hi Paula, my wife and I are mid-30s and we will be on our honeymoon in Sydney. We are staying on the Royal Botanic Gardens side of the bridge. We are trying to decide between the following parties: NYE Portside, Opera Bar, Sydney Observatory, Pirama Park Pyrmont, Sydney Harbor Tall Ships and Fusion Cruises. We were leaning towards NYE Portside, but was hoping you might have a suggestion. Thanks! Hi Tom Congratulations on your upcoming wedding. From your list, I would choose Portside or the Tallship. The view from Pirama is just not the same as seeing the action up close. It’s not a bad spot but not jaw-dropping. Thanks Paula, that’s extremely helpful! Hello Sydney Expert! Really like all the advise on your post…but I’m still confused about the best place to go for my family. We will be visiting from Los Angeles and staying at Meriton Suites World Tower (near Hyde Park). Our kids are 15 and 17 and we are a non-drinking family. What do you recommend please? We are prepared to go to a paid for location. You have chosen a great location 🙂 A couple of options depending on budget, Teens might like one of the Harbour Island events. 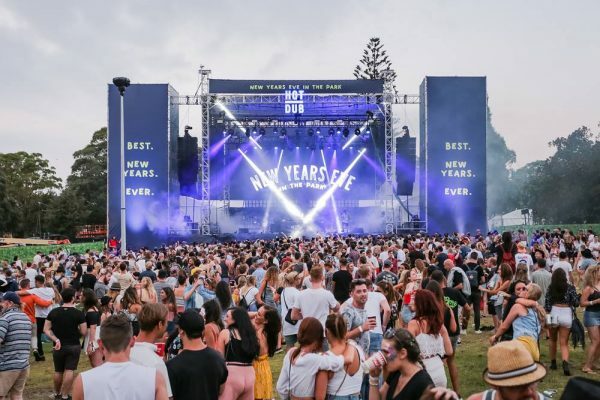 I think Shark Island would be a good option https://www.moshtix.com.au/v2/event/nye-shark-island-party/105997?skin=sharkNYE2018 Alternatively if you prefer to stay on the mainland then have a look at Harbour Hoopla. 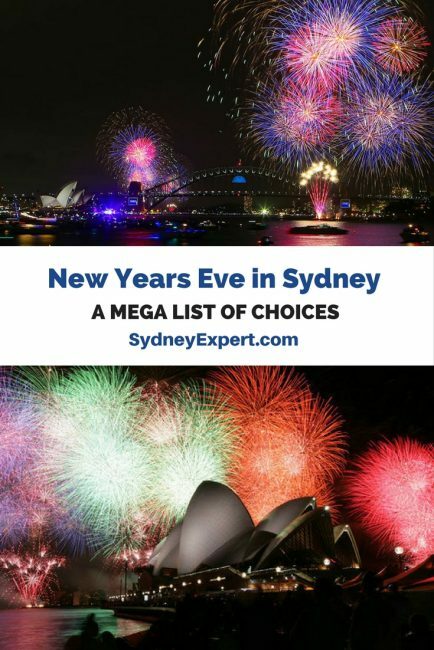 This is such a useful page – I’ve recently moved to Sydney and have been looking for a comprehensive guide on NYE for ages, thank you so much for putting all the hard work in! In your opinion, is it worth paying a bit more to secure a drinks / food package at the ticketed events? Hi Will, I am not sure if you mean a ticketed area generally or an add-on food and beverage package for specific events.. I think it really depends on how long you are prepared to sit around and wait for the action to begin. The ticketed events mean you are likely able to turn up in the late afternoon or early evening and score a prime position. Alternatively, you would have to be at one of the free areas by early afternoon at the latest for prime position. As for the F&B packages – those really depend on the individual events. Do you have any suggestions for us? Thanks very much! an intimate setting with a view of the bridge on NYE is almost impossible. Do you have a budget? Perhaps you could book a water taxi? It would not be cheap though. Any harbourside location will be jam-packed with people. I suggest you post this question in our Facebook Group and see if anyone has any ideas. I live on the city side of the bridge and I cannot think of a single spot. Hi, There are very few cruises at that price point. Have a look at the Fast Ferry and Sydney ferries BYO cruises. You only go out for one of the two shows for that price generally, you choose between the 9pm or the midnight. Absolutely fantastic blog and its been so helpful. So I’m trying to decide between Portside, Opera Bar and Cruise Bar. I used to live in, and I’m bringing a friend over from London to experience NYE in Sydney for the first time. I previously experienced NYE in the Garden in 2016 which was brilliant in terms of views (minus all the other problems). I’m struggling to pick an event that will give us the most bang for our buck, each from what I see has their pros & cons, so I’m struggling to whittle it down, any suggestions would be appreciated. 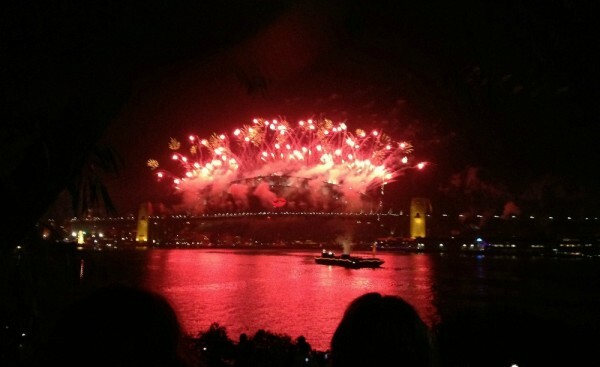 Thanks for the great summary and tips about NYE, really helpful for someone not from Sydney! Do you have any knowledge about the Hickson Road Reserve vantage point at the Rocks? My family is going there but it is hard to find info or reviews about that site (maybe goes under another name in reviews or is a new vantage point?)? This is the first year this site has been ticketed. The atmosphere and the view of the Opera House are amazing. You are very close to the bridge so depending on the wind it could get a little smokey. Thanks for such great detail! We are considering the Harbour Rocks Hotel package – Harbour suite room/terrace. We’ve been to the hotel before, but not sure if the view from the roof is the best. Do you know? Also, you mentioned the view from the front of the bridge Is best, but I’m not sure what that means – I’m directionally challenged. :). Thank you! The “front” of the bridge is the side that faces the Opera House. Your view should include the front of the bridge but I am not sure if it will be at all obstructed. Best to call the hotel to confirm I think. I think the property is a great choice. Amy info in Milk beach Vaucluse? What time does it fill up? This is a sensational page. Truly well done! I managed to get some tickets to the Campbells Cove area. What i am not clear on is despite it being a ticketed/controlled area will they actually close it off from everyone even ticket holders? We are only interested in the 9PM fireworks and not hanging around for hours, was hoping we could just rock up sometime before then but not too early and then leave after it. But if they close it at like 6 or 7PM we’d end up coming in for nothing. Hope you can assist..
My understanding is if you have a ticket you can enter at any time. It would be safest to email them directly but I do not understand how they could refuse you. we spend New Year’s Eve 2019 in Sydney. Since we do not want to start on New Year’s Eve at 08:00 am, we consider whether we should book a harbor cruise or alternatively watch the fireworks at Midnight at the Oasis. But now we want to make sure that we have New Year’s Eve tickets as well. When did the sale of Midnight at the Oasis tickets start last year? Is there a risk that there will be no Harbor Cruise tickets when the sale of tickets for Midnight at the Oasis starts or we may not get a ticket for Midnight at the Oasis?